Lorin Lindner, PhD, MPH, is a clinical psychologist and public health educator using nature and alternative methods of healing. Dr. Lindner was Clinical Director of New Directions for Homeless Veterans at the Greater Los Angeles VA Healthcare Center. Then she began an inter-species recovery program that places rescued parrots in sanctuary where they are cared for by veterans undergoing rehabilitation from trauma. Each of them helps the other along the way. At that sanctuary she met her husband, Matthew Simmons, and together they started the Lockwood Animal Rescue Center. Dr. Lindner’s has published a book about the history of Serenity Park Sanctuary, Birds of a Feather (St. Martin’s Press, 2018) and she has also published in various journals on trauma in animals, domestic violence, child abuse, and the Link between violence against people and cruelty to animals. 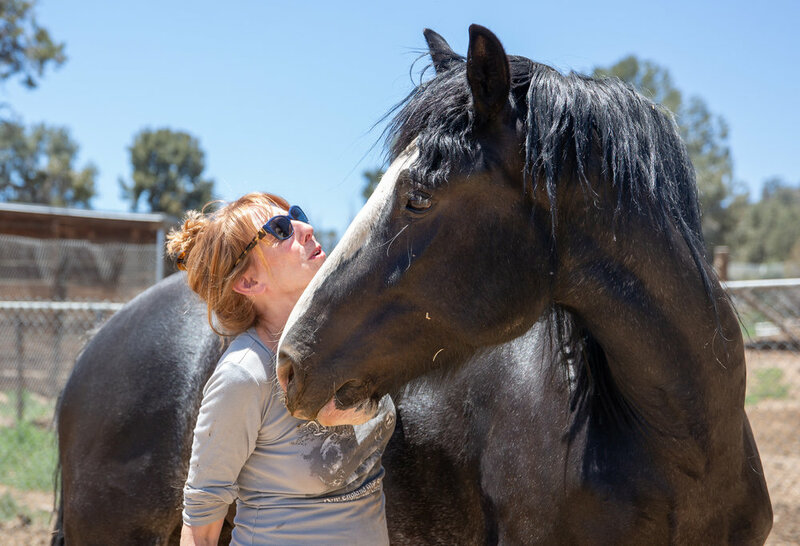 For over 20 years she has utilized eco- and animal-based therapy as part of her treatment protocol. Matthew Simmons, Navy Veteran, is the co-founder, along with his wife, of the Lockwood Animal Rescue Center and the Wolves and Warriors program. Matthew is the COO of both LARC and Serenity Park and has been volunteering his service since 2008. Matthew co-created the WolfGuard Program and is dedicated to helping veterans through innovative means. Matthew understands that there isn’t a cure for PTSD, survivors guilt, and many combat related injuries, but over the years he has come to realize that working with the animals at Serenity Park and LARC can make all the difference in a veteran’s life. He wants to be sure more veterans are helped to thrive not just survive after their military service.